“F1 2017” is a highly technical racing video game and the ninth instalment in the Formula One video games franchise developed and published by Codemasters. It was released for PlayStation 4, Xbox One, and Windows on 25 August 2017. 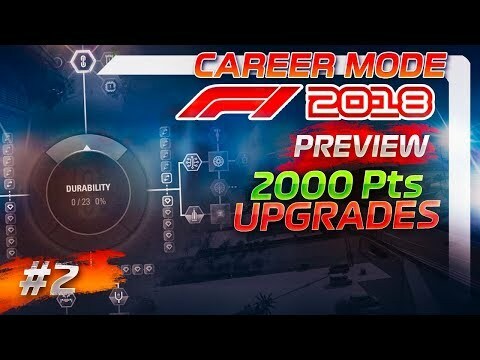 F1 2017 features the following teams and drivers: Scuderia Ferrari – Sebastian Vettel, Kimi Raikkonen; Sahara Force India F1 Team – Sergio Perez, Esteban Ocon; Haas F1 Team – Romain Grosjean, Kevin Magnussen; McLaren Honda Formula 1 Team – Stoffel Vandoorne, Fernando Alonso; Mercedes AMG Petronas Motorsport – Lewis Hamilton, Valtteri Bottas; Red Bull Racing – Daniel Ricciardo, Max Verstappen; Renault Sport Formula One Team – Nico Hulkenberg, Jolyon Palmer; Sauber F1 Team – Marcus Ericsson, Pascal Wehrlein; Scuderia Toro Rosso – Daniil Kvyat, Carlos Sainz Jr.; Williams Martini Racing – Lance Stroll, Felipe Massa. As an addition to the 2017 game, there are many classic F1 cars at the players disposal. Classic cars featured are the 1988 McLaren MP4/4, 1991 McLaren MP4/6, 1992 Williams FW14B, 1995 Ferrari 412 T2, 1996 Williams FW18, 1998 McLaren MP4-13, 2002 Ferrari F2002, 2004 Ferrari F2004, 2006 Renault R26, 2007 Ferrari F2007, 2008 McLaren MP4 -23 and the 2010 Red Bull Racing RB6. F1 2017 contains 20 official circuits from Iconic locations such as Monaco, Azerbaijan, USA, UK, Australia, Dubai and Austria, such as the Albert Park Street Circuit, Red Bull Ring, Baku City Circuit, Silverstone, Suzuka, Circuit of the Americas, Hungaroring and Monaco Street Circuit. “MotoGP 18” was released on Q3 2018. It was developed by Milestone and published by Milestone for Switch, PC, PS4, and Xbox One. Celebrating passion, excitement and all the adrenaline of the MotoGP championship, MotoG 18 will give players the opportunity to take part in the best motorcycle racing show on Earth, featuring all the official content from 2018 MotoGP season and exclusive improved features which will set a completely new level of realism and immersion. This year’s MotoGP has been rebuilt with exclusive improved features to make the game experience as immersive as ever, such as new cut scenes, the spectator mode and brand new interactive tutorials. It is inclusive of the official 2018 MotoGP season, with all riders, official rosters from MotoGP, Moto2, Moto3, and Red Bull MotoGP, Rookies Cup and all 19 official tracks, including the new Buriram International Circuit in Thailand. Faithful reproduction of riders, tracks and bikes are in the game, thanks to the Drone Scanning system (which provides a 1:1 recreation of all the track details) and 3D scanning technology that brings in the real MotoGP riders’ faces in game. Gameplay features an enhanced AI, Bike Physics, and Collision System, with the introduction of riding aids to offer a more enjoyable simulation at every level. A compelling career mode lets players climb the ladder from Red Bull MotoGP Rookies Cup to MotoGP class, with an innovative bike development setup that allows significant increase in the bikes’ performance.